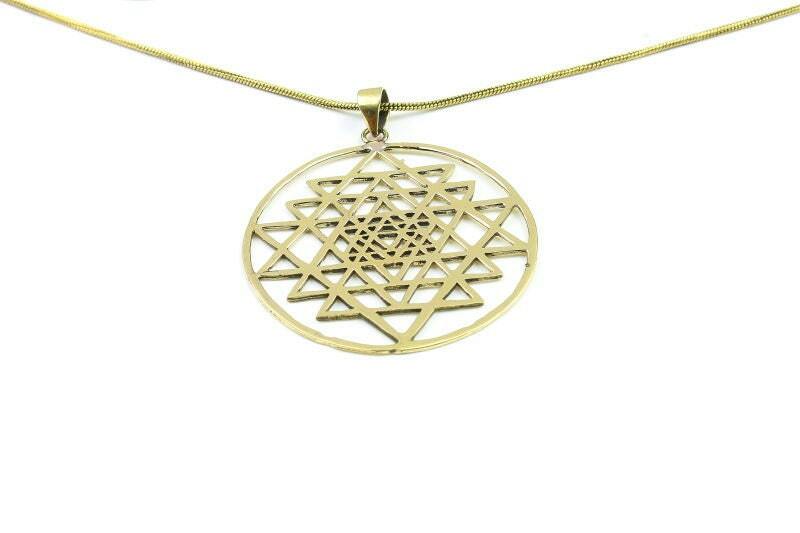 Sri Yantra is symbolic of the entire cosmos or a womb symbolic of creation. 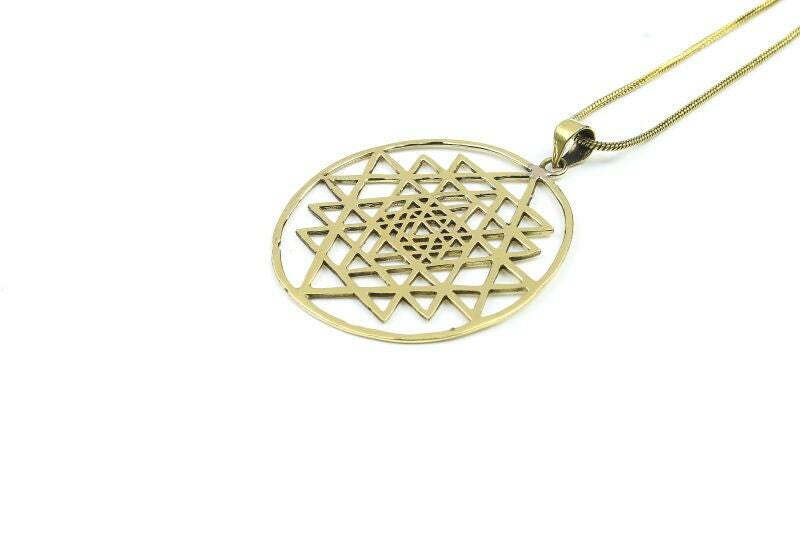 The Sri Yantra is a symbol of sacred geometry, an ancient science that explores the energy patterns that create and unify all creations. Pendant Measurements: Length: 2 1/4"; Width: 1 3/4"